One of the best known metal acts from Baltic States, Neglected Fields rose out of the ashes of local bands in fall of 1995, with the initial line-up Sergey "Destruction" (vocals, guitars), Herman (guitars), Sergey (bass), Karlis (drums). The new band traveled to neighbouring country Estonia, where in Townhall Studio in Tallinn the first demo "Sansara" was recorded in spring of 1996, containing four tracks of intense technical death metal with a strong influence from Death, Cynic, Atheist and Carcass, and a light touch of beautiful soprano co-leads from session vocalist Rasa. It quickly made its way into many European magazines and, thanks to successful promotional campaign, "Sansara" received multiple rave reviews in European metal press, receiving the "Demo of the Month" title in Aardschock (The Netherlands), Extreme (Germany), Eternity (Germany), Vampiria (Italy)). Soon after that the band received numerous offers to release the debut CD, while the band enjoyed successful gigs all around the Baltic States, including in Death Comes 6 festival in Vilnius, supporting Therion in front of 1500 fans. 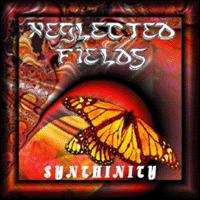 In August 1997 Neglected Fields entered the legendary Finnish Tico-Tico Studio to record their debut album "Synthinity". Containing 10 songs, it was released in June 1998 in Europe and America by Eldethorn records, a subdivison of British Neat Metal records, and licenced for release in Japan by Pony Conyon. "Synthinity" was the first ever CD release by a Latvian metal band. Although the band was not entirely satisfied with the promo campaign, it still managed to receive favourable reviews - 80/100 in Aardschock, 8/10 in Greek Metal Hammer and 74/100 in Burrn. Soon after the CD saw the daylight, Neglected Fields started to gig extensively in Latvia, Lithuania and Estonia, opening for Cannibal Corpse and Dark Funeral in their hometown in front of 1100 fans, and also did a mini tour in Czech Republic, Slovakia and Austria. New ideas were born, and the band decided to add keyboard player. George, with a diploma of classical music education in his hands, was in a league of his own, and was willing to join the band. The new line-up recorded a self-titled promo demo with three tracks (Solar, Bass solo, The Human Abstract), thanks to which the band was signed to Italian Scarlet Records (Neat Metal Records having gone out of business by then). Another legendary studio, this time Abyss, was chosen to record the eagerly awaited follow-up CD. 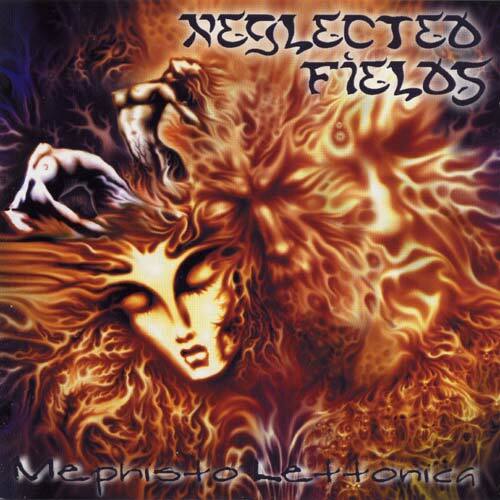 "Mephisto Lettonica" was recorded with a help of Tommy Tagtgren (brother of Pete Tagtgren, Hypocrisy and Pain mastermind, and the owner of Abyss) and released through Scarlet Records in September of 2000. "Mephisto Lettonica", with a reference to both some dark character and their native country in the title, exceeded many expectations, also due to touches of black metal (courtesy of George's swirling keyboard licks) and was critically acclaimed (12/15 in Legacy, 9/10 in Metal Heart, 7/10 in Rock Hard, 4/4 in GrindZone, 5/6 in Metal Hammer Italy, 5/6 in Scream, 6/6 in Spark (Czech republic), 10/12 in Thrash 'Em All (Poland), 9/10 in M (Belarus). Interviews with the band appeared in more than 20 leading metal editions all around the Europe. The band has appeared in Brutal Assault 7 festival in Czech republic, alongside with Incantation, Tiamat, Callenish Circle, Ancient Rites, as well as opened for Dimmu Borgir, Destruction, Impaled Nazarene and gigging in Czech, German, Polish, Austrian, Finnish and Belarus clubs. Sadly, in November 2002, the long-time member Herman decided to pursue other musical directions. The band quickly recruited new guitarist Janis, who joined prior the tour through Poland, the Czech republic and Slovakia, and appeared with the band in festival appearances in Lithuania, Latvia and the Czech Republic, sharing the stage with Moonspell, Hypnos, Vader and Behemoth. In December of 2003 both first albums were re-released for Russian market by the famous Soyuz label, and the band played two promotional gigs in Moscow and St. Petersbourgh, appearing before the delighted Russian fans for the first time and its career. A further European headline tour blasted its way through 14 dates in 7 countries. In October 2004 Neglected Fields entered Astia studio to record drums for the new album, while the whole 9-track monster was produced by TT Oksala (Tiamat, Stratovarius, Apocalyptica), whose reputation in music business leaves no doubts concerning the quality of the recording! Mastered in Finnvox by Mika Jussila, the album can be easily described as a link between latter-era Death and Emperor. 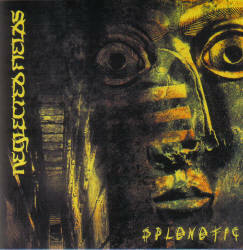 The album, entitled "Splenetic", is due to be released in May 2006 (Aghast Recordings). In November of 2005 the band welcomed new guitarist Sergej "Filth" of local death/black band Preternatural to their ranks.